I have another Orly throwback to share with you today. One thing I've noticed since doing my throwback posts is how spoiled I am now with nail polish formulas. I have to thank indies for that. Mainstream polish formulas then and even now are very average to below average especially when it comes to pastels or neons. What's interesting is 5 years ago I would consider these older mainstream formulas and even current ones good, but now they're average to below average. This older Orly pastel really reminded me how thankful I am for amazing indie pastel cremes! Gumdrop is a soft aqua/mint creme. Color: This is a beautiful colors. 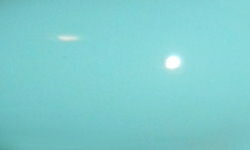 I like the softness of this color and that is has a touch more blue to it than other mint/aqua shades. I want to say this color was the beginning of the mint green craze back when I started getting into nail polish. The color is a beautiful pastel that isn't stark or too contrasting with my skin tone. Formula: I don't think this formula is bad. It's really not, but compared to other pastel cremes I have today from KBShimmer and other indies it's lacking. The formula was OK by today's standards. I did find it did not level or smooth out evenly on my nail well. I used 2 coats above. Price: I'm pretty sure this is part of the core line of Orly. I see it listed on Sally's and Ulta's website. You can also find this on other e-tailers in the $5-$8 range. Overall: I love the softness and beauty of Gumdrop. It's a fun and perfectly spring-like color. The formula isn't my favorite, but it wasn't bad either. I have definite feelings of nostalgia with this one, but also would be more likely to use a similar color with a better formula. Isn't that beautiful?!!! I used to love this polish and then new ones came out and I forgot how pretty it is. I love that Tiffany blue green color. Such a pretty mint blue!